We've come to the end of Carnival. Lent began sometime last night, after everyone partied all day yesterday. I heard the middle school kids having a party on Friday after school. They were really going to town on their plastic Carnival horns. I had a good time, too, imagining a violent scene where I stomped across the street, snatched the horns from their hands, snapped 'em in half, and threw them to the ground with a, "Party's over." I'm a lot of fun. The streets around town were littered in places with cheap tissue paper confetti. We saw a few people in costume. I was hoping to see something impressive, but we didn't. Granted, we never got into the Plaka area during Carnival, which is where the fun crap supposedly goes down, but I do think we didn't see as much as we could have seen because the weather's cramping everyone's style. Real-ish spring weather has finally come to Athens. The past week has been mild, but cloudy, rainy, gloomy, and generally less pleasant than it has been. Today has been very rainy, which is probably an exceptional bummer for the locals. This is Clean Monday, a public holiday in Greece. It marks the beginning of Lent, a period of abstinence from meat, dairy, and a few other things. Traditionally, people go out to the country on Clean Monday and fly kites. It is spectacularly miserable weather for kite flying today, though I guess there's a breeze. We saw several kite vendors out yesterday on the streets. The kites reminded me a bit of piñatas. They were brightly colored and, from a distance, looked like they were made out of cardboard. I doubt they could survive the rain. The beginning of Lent is also a traditional time for some people to do their spring cleaning. Phil and I were planning to fly kites today, and ours are plastic so we'd probably be fine, but even we weren't digging the weather too much. We stayed home and spent the morning cleaning. Our friend is flying in tonight to stay with us. Hopefully the weather will stay bad enough to keep people inside, but good enough that we can walk around with her and see stuff. One thing you should know about Greece is that they don't have a T,G.I. Friday's restaurant. They have NINE (9) (!!!!!!!!!) T.G.I. Friday's restaurants. Phil and I went to one on Friday night for an early Carnival celebration. That's a lie. We just went because we didn't feel like cooking, and we like the food. We stopped by the store on the way back, and saw more Carnival stuff that I made fun of, and photographed for you. 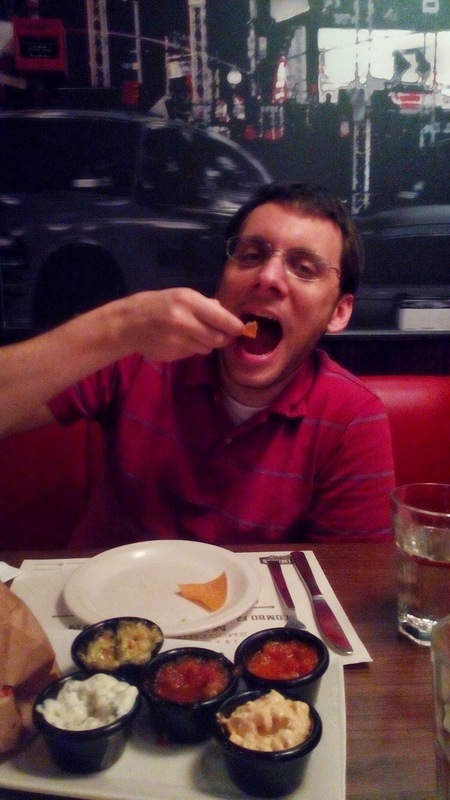 Phil enjoying the chips and salsa app at TGIF. Chips and salsa are just called nachos here. That's sick. 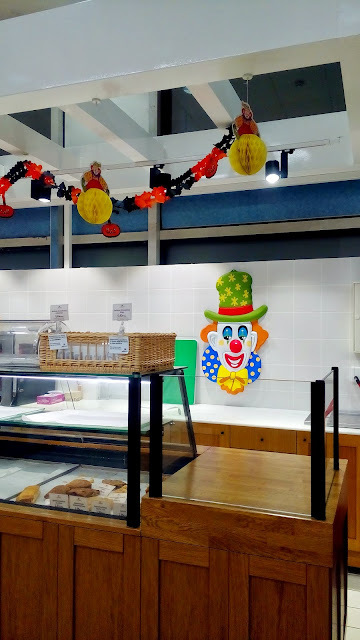 Carnival decorations at the bakery. But wait, is that garland...? It is. It's a Halloween garland. It is a garland of orange and black jack o' lanterns. I am now deeply curious whether other Halloween decorations are also used for Carnival. And I want to know what meaning people assign to them. Like, do Greek people call these jack o' lanterns, and do they carve them for Carnival? Or do they look at them and see funny clown faces? 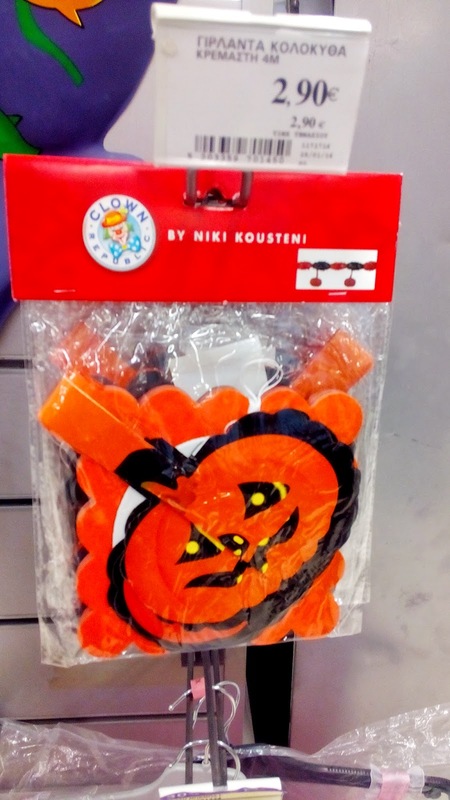 Do they know that this would unequivocally be labeled a Halloween decoration in the States? I don't have answers, but I do know these Chinese companies are making a killing by double marketing the same junk for two entirely different cultural celebrations. 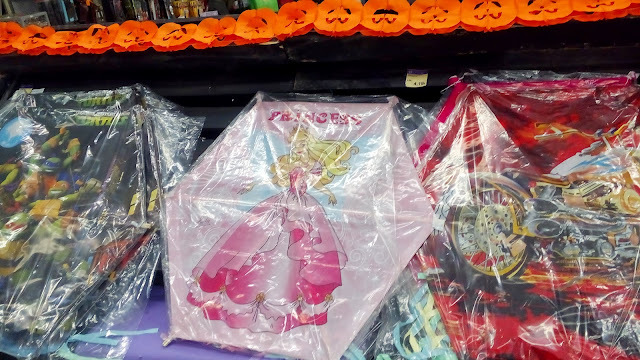 Here are some kites for Clean Monday, displayed under another Carnoween garland. The costumes we saw looked exactly like what you'd find in America on Halloween. Kids were dressed as witches, princesses, and superheroes. We saw a couple adults dressed like clowns, and a couple of pirates. It was very interesting. Greece is completely primed for Halloween, though who knows if they'd want to spend money to dress up twice a year. At least they could reuse their garlands. Happy Clean Monday! Happy Lent! Try not to think of all the lambs being born that are going to be killed and eaten in 40 days! Now I'm just being mean outright. Looks like you had a great time! Loved the decorations and food. Thanks for these photos. I want to host a dinner party on our wedding anniversary but having a hard time in finding suitable outdoor venues. Hoping to find one affordable soon. Fun! Where have you looked so far?